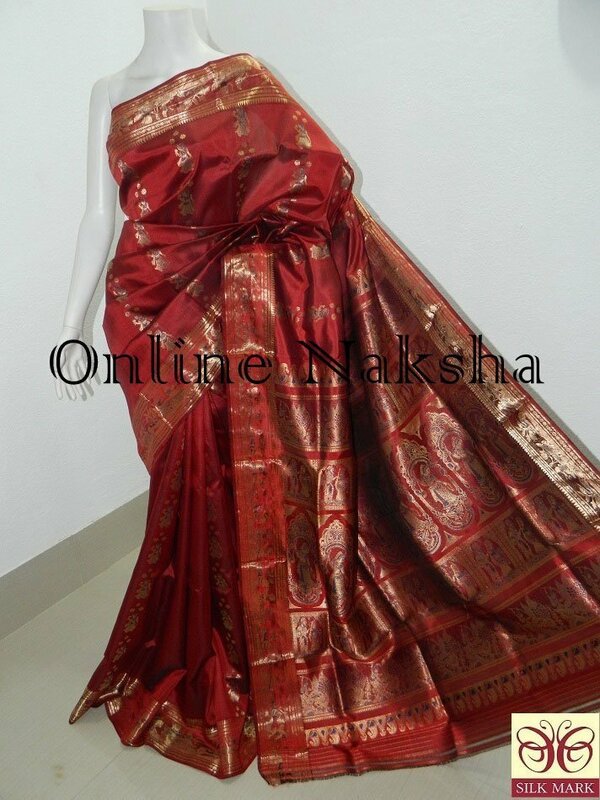 Shop latest designed Maroon Bridal Swarnachari Saree online at reasonable rate. This maroon base saree comes with golden zari weaving intricately. The pallu depicts Meera Bai with the story of Mahabharata like marriage of Arjuna and Droupodi, Bakasur Badh. It will be the perfect pick for your bridal orparty wear as it is too gorgeous.